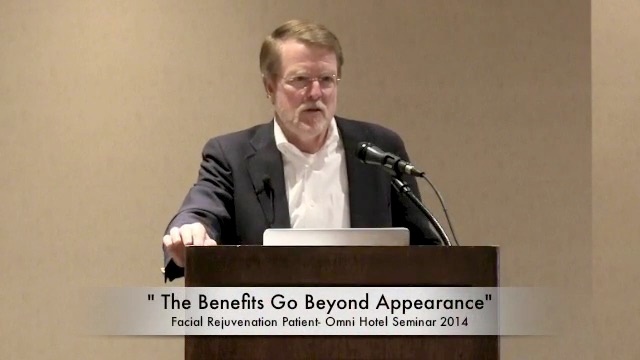 The Benefits Go Beyond Appearance - Patrick Sullivan, M.D. The ancillary benefits go beyond appearance. You begin to say, “Hey, I look better, I look more youthful so I am going to do other things that make me more youthful. I am going to exercise more and eat less and be very thoughtful about my appearance. I’m going to keep my hair a little shorter to appear younger. All of these things that center in the experience and the aesthetic modeling of Dr. Sullivan end up with [benefits] you never expect.